The Lost World: This high plateau contains ten waypoints (slightly more than 7000 square miles), is surrounded by virtually unscalable cliffs (Charles would suggest taking the underground monorail network if you want to visit the area instead), and is broken up by several additional natural barriers (dramatic chasms, rivers of lava, etc) to provide more local biomes. Naturally enough, and in memory of the Creation-That-Was, it’s centered on a pair of waypoints with their demesnes aspected towards Earth, which are surrounded by pairs of waypoints aspected towards Fire, Air, Earth, and Water. Those provide a certain amount of elemental upheaval that goes with the theme – while the manses are dedicated in pairs to (1) maintaining and observing the local species and environment, and (2) to historical records and libraries, including projects such as using the reports from Earth’s Small Gods and thaumaturgic divination to recover lost artworks, books, and similar materials from the history of civilization. While Charles does not yet want to risk creating intelligent beings from scratch, he’s quite willing to let his realm populate itself with animal life according to the environment – and to use thaumaturgy to make genetic adjustments. While you may not be able to resurrect people, making new examples of extinct species, or changing species, is easy enough – and so the Lost World is full of dinosaurs and such from various eras, with underground seas to accommodate the ocean-going forms. If any Dragon Kings want to visit, their are appropriate accomadations on hand, and the environment should be comfortable and accurate enough; Charles consulted them on designing the area. The Sea of Chaos: Deep beneath the surface of Aden, in the hollow center of the world the Sea of Chaos waits. OK, it might actually be on the outside, depending on whether or not the waypoints of Aden proper are currently arranged on the inside or the outside of a sphere. After all, between the cosmetic displays, the distorted geometries, and the fact that Aden is more made up of a series of spheres linked together than an actual space-filling sphere, it’s hard to tell. Anyway, there the sea of chaos waits, bordered by six middlemarches waypoints, forming either the shores of an island or of a lake. 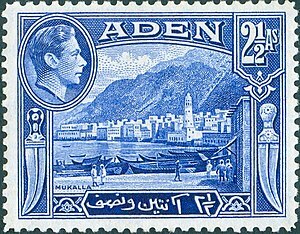 The subsurface routes that pass through the shores are dangerous to use since they are exposed to the energies of the Wyld – but through that unclearly defined space you can reach anywhere else in Aden with a relatively brief trip. While the Sea of Chaos and it’s middlemarch “shores” are impervious to grandiose shaping that would fix it’s nature (substituting an immunity to that for the weather control and some of the conveniences that otherwise prevail across Aden), and so cannot be purged of it’s chaotic energies, you can enter it and draw on it for wyld-questing and lesser shapings. In most places few do so. The Wyld Carnival sprawls across a sizeable chunk of those middlemarch shores – the result of the Mardi Gras Manse. Rank-5 (ten Creation Points) +1 (one given-up Hearthsone level) +9 (booster artifacts) = 20. Hearthstone (****): A Grace Stone. While it appears to be a simple stick of chalk, the Grace Stone can be used to congeal portions of the target’s aura into Graces – the usual set of four, either individually or all together. In either case, the user may provide the target with graces rated at (the appropriate virtue +1). Integrated Amplifier Artifacts (-9): Since pure chaos was quite handy, Charles opted to spend a little time fitting this manse with a full set of nine unique, self-powered, rating-five, booster artifacts as a proof-of-concept test – giving the Mardi Gras an extra nine manse construction points to work with. Immutability (1) and an Extended Zone of Influence (4): The manse holds it’s own structure and geomancy constant, and shields the local area against the random influences of the Wyld – but it does NOT protect other creatures in the area from shaping effects. Here visitors are safe enough from unfiltered power of the Wyld – but they can play out almost any scenario, train in exotic disciplines, and tour historical simulations without danger. Pasiap’s Buried Whiskers (1). The manses senses are excellent – and extend throughout it’s Zone of Influence. Sentient (5): The Manse is intelligent, skilled, dedicated to helping Charles and entertaining his guests. Since it also – courtesy of it’s own hearthstone – has Graces, it can engage in the usual Raksha shaping, weaving of fantasies, and shaping combat (although, thanks to it’s Immutability, it’s immune to shaping damage). Bound Guardian Force (4): Mardi Gras maintains a force of some three hundred noble Raksha – or at least creatures very like Raksha, if far more friendly (they’re built as Noble Raksha, but get +1 to each virtue, +2 essence, and can respire normally in Creation). Integrated Utility Artifacts (3): Heart of Rakastan (*****). This low-end “reality engine” adds great power to the user’s shaping – effectively duplicating most outwardly-directed Raksha charms and making the manifestations of the user’s fantasies and shaping attacks quite “real” – capable of existing under the rules of creation and thus capable of penetrating most anti-shaping barriers. Gossamer Loom (**, produces 10 Gossamer each time Mardi Gras fulfills a fantasy), and a multi-tracking booster allowing the manse to operate many fantasies at the same time (***). Archives (2): Mardi Gras maintains a vast archive of movies, fiction, fantasies, and related material – all of it used as a basis for more fantasies. Remember the “Shore Leave” planet on Star Trek? Yes, here we have the equivalent in a manse – albeit with allowances for a few more practical features. If you need something from the Raksha, Martid Gras should almost certainly be able to provide it. Otherwise, just have fun!